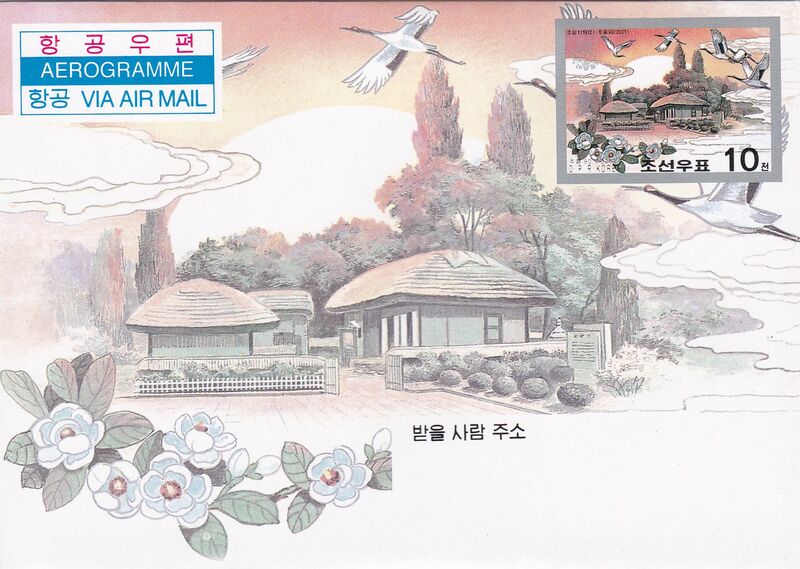 L9736, Korea Aerogramme, "Birthday of Kim Il Sung", 2001. MNH. Issued by Korea in 2001, with face value 0.1 Won.